The BJP-led alliance swept all the eight assembly segments falling under Prime Minister Narendra Modi's Lok Sabha constituency. 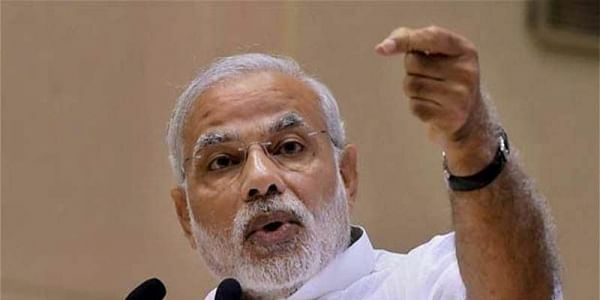 VARANASI: The BJP-led alliance swept all the eight assembly segments falling under Prime Minister Narendra Modi's Lok Sabha constituency and this district. They retained three of the five seats in Modi's constituency Varanasi by comfortable margins and wrested the remaining two from the Samajwadi Party. In an electoral performance that may have surpassed all expectations, the alliance ended up winning three other assembly segments falling under Varanasi district, wresting two of these from the BSP and one from the Congress-SP combine. In the city, sitting MLA Ravindra Jaiswal retained Varanasi North, defeating former legislator and Congress candidate Abdul Samad Ansari by a margin of 46,000 votes. In Varanasi (South), debutante Neelkanth Tiwari retained the seat for the BJP, belying fears of an upset after the party denied ticket to seven-time MLA Shyamdeo Roy Chowdhury. Former MP and Congress candidate Rajesh Mishra tried to put up a fight but lost by a margin of 17,000 votes. Varanasi (Cantt) saw another successful debut, as Saurabh Srivastava won by a thumping margin of more than 60,000 votes to retain the seat that has been represented alternately by his late father Harish Chandra Srivastava and mother Jyotsna Srivastava. The BJP sprang a surprise in the predominantly rural Rohaniya, where Modi had held his last election rally. With its prospects bolstered with a tie-up with Apna Dal (Soney Lal), the party won the Kurmi-dominated seat by a huge margin of 57,000 votes. This was a far cry from the party's position here five years ago when it had finished fourth. The BJP's ally Apna Dal (Soney Lal) tasted victory in Sevapuri, where it was the runner-up five years ago. The party's Neel Ratan Singh Patel defeated sitting SP MLA Surendra Singh Patel by 49,000 votes. Modi had camped in his constituency during the last three days of electioneering, held roadshows and addressed several rallies to reach out to voters in the district. Three more seats falling in the district -- Ajagara (SC) and Shivpur forming a part of Chandauli Lok Sabha constituency and Pindra under Machhlishahr, were also bagged by the BJP-led alliance. Anil Rajbhar won Shivpur, where the BJP had finished sixth in 2012, by a staggering margin of more than 54,000 votes. His nearest rival was Guddu Yadav of SP. The seat was won by BSP five years ago but it finished third this time. Its MLA from the seat, Udai Lal Maurya, had recently joined the BSP along with his mentor and Mayawati's former confidant Swami Prasad Maurya. Ajagara was won by Kailash Nath Sonkar of Suheldev Bharatiya Samaj Party (SBSP) defeating nearest rival Lalji Sonkar by 21,000 votes, while sitting BSP MLA Tribhuvan Ram finished a distant third. The SBSP is a breakaway faction of the BSP, floated by former Mayawati loyalist Om Prakash Rajbhar. The party had contested 52 seats in 2012 assembly polls, losing all and forfeiting deposits in 48. Contesting only eight this time, in alliance with the BJP, the party has tasted victory in four of these constituencies. In Pindra, the Congress-SP alliance came in for a rude shock as sitting MLA Ajay Rai suffered a humiliating defeat, finishing way behind BJP's Avadhesh Singh who beat the runner-up -- BSP candidate Babulal -- by a margin of 37,000 votes. Rai, who was also the Congress candidate from Varanasi against Modi in the Lok Sabha polls, had begun his career in the 1980s as a BJP MLA from the now-abolished Kolasla. After winning the seat three times in a row, Rai quit BJP in 2009 upon denial of a ticket for Lok Sabha polls, and fought the parliamentary elections on a Samajwadi Party ticket. After losing the LS polls, he won back Kolasla in the assembly by-poll that followed his resignation from BJP and joined the Congress before the 2012 assembly polls and won from the newly-created Pindra.